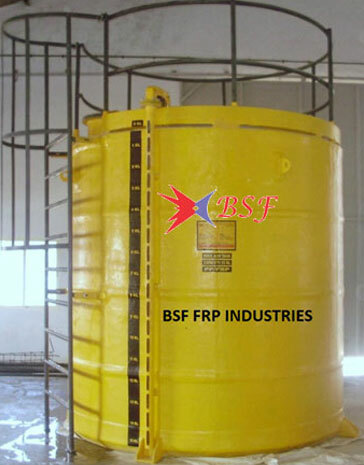 Our incorporation in industries from past years, we, “BSF FRP Industries”, are a renowned organization engaged in manufacturing and supplying a commendable range of FRP Tanks Manufacturers, FRP Blower Manufacturers, FRP Scrubbers Manufacturers, FRP Pipes & Fittings, GRP Stack and Sheets. Our offered range encompasses PP FRP Storage Tank, PP FRP Pipes & Fittings, FRP Pressure Vessel, Air Pollution Control System and FRP Rain Water Harve sting System. In addition to this, we offer PP FRP Fume Exhaust System, FRP Rain Water Harve sting Systems, FRP Fume Exhaust System, PP-FRP Scrubbing System, PP FRP Gas Scrubbing System, FRP Gas Scrubbing System and FRP Scrubbing System , among others. These products are manufactured in adherence with the industry set norms and guidelines. Further, these products are manufactured using quality-approved raw material like epoxy, iso-phthalic polyester, viny1 ester, furane & phenolic, resins fire retardant and iso-phthalic polyester. Some of the other plastics used are polypropylene (PP), high density polyethylene (HDPE), chlorinated polyviny1 chloride (CPVC), poly vinylidene flouride (PVDF). Laminates are made using themoplastics as liners for chemical resistance and external FRP for ensuring their strength. We employ full amount of resources in developing our range, without causing any wastage and harm to the environment. Based in Mumbai (Maharashtra), India, ours is a Sole Proprietorship (Individual) firm. We have developed a state-of-the-art infrastructure facility, which is spread across a sprawling area of 12000 square feet. Outfitted with sophisticated machinery, tools, ultra-modern technologies and cuttingedge equipment, our infrastructure aids us in manufacturing our entire range with utmost precision. ‘BSF FRP Industries’ group, engaged in design, manufactures and supply of various items made of FRP (GRP), PVC-FRP, CPVP-FRP,PVDF, ECTFE, PFA, FEP-FRP,EPOXY, PHENOLIC, FURANE etc., We are in this field for over 25 years and all our products are manufactured as per relevant BS/ASTM/ASME/AWWA/DIN/AS/ISO/JIS standards to meet international Quality requirement.All of our equipment is manufactured in house, giving us the ability to construct special fitting shapes, sizes, transitions etc.Our capabilities are limited only by your imagination.BSF FRP Industries leading manfacturers into product like a FRP(GRP) ffiberglass reinforced plastic manufacturers. We hold immense experience in manufacturers and suppliers of a wide range of Fiberglass manufacturers & GRP Manufacturers.Our wide range of Fiberglass (GRP) Fittings is manufactured from optimum quality fiberglass reinforced plastic using various types of Resins like Isopthalic, Vinylester, Bisphenol and other resins.Our product range is offered at cost effective rates.It is resistant to corrosion, impact, galvanic & stray electrical currents, abrasion, heat and ultra-violet radiation. We also offer this product in customized forms as per the Specification for Fiberglass manufacturers(GRP manufacturers & Fittings).Please feel free to contact us for FRP manufacturers(GRP manufacturers) enquiry at info@bsffrpindustries.com.